Nashville, TN -- Flatt Lonesome has been overwhelmed from wide-spread industry recognition with the announcement of several awards nominations recently, including FIVE International Bluegrass Music Association (IBMA) nominations and their FIRST EVER Dove Award nomination. 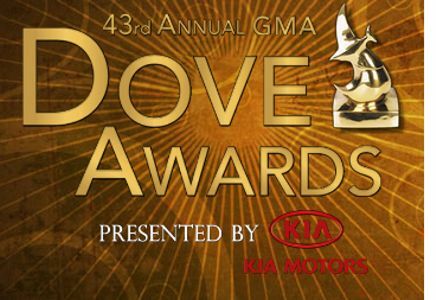 Nashville, TN -- The Gospel Music Association (GMA) has announced the nominees in 41 categories for the 46th Annual GMA Dove Awards. The theme of this year’s award show is “Better Together” which focuses on the strength in unity. The conference was also streamed live on CMM Magazine and YES Lord Radio. The awards show will take place on Tuesday, October 13, 2015 at Allen Arena on the campus of Lipscomb University in Nashville, TN at 6:30pm CT. Trinity Broadcasting Network (TBN) will exclusively air the awards show on Sunday, October 18 on the network’s global stage reaching over 100 million homes in the US, plus global and multi-platform distribution. Voting for the final winners will run August 20th through August 27. The “Song of the Year” and “Songwriter of the Year” categories will be made in a special announcement in the coming weeks. Doyle Lawson, Balsam Range, Lizzy Long, Rhondas Vincent are among the contenders for Bluegrass Song of the Year. Nashville, TN -- Volume Five is celebrating award nominations today from two separate organizations. As announced in a press conference by the International Bluegrass Music Association, Volume Five received an Award Nomination for Emerging Artist of the Year. At the same time, the 46th Annual GMA Dove Award Nominations were being announced live from Lipscomb University in Nashville where Volume Five was honored with a Nomination for Bluegrass Recorded Song of the Year for “Daddy Was An Old Time Preacher Man” featuring Rhonda Vincent, written by Dolly Parton and Dorothy Joe Owens. The song “He Washed My Soul,” as recorded by The Little Roy and Lizzy Show, was honored as Bluegrass Song of the Year at this year’s 44th Annual Gospel Music Association Dove Awards, hosted by Amy Grant and Kirk Franklin. The award recognizes the artists and the song’s writers, Wayne Haun, Jamie Helms, Ruby Moody, and Ron Haun. Willis, VA -- Dove nominated bluegrass gospel group, The Churchmen, are joining forces with Virginia based Mountain Fever Records on their spring release Mercy Road, the inaugural venture for the band on the label. The first single from the album, “Bread and Water,” hits radio today, March 5th. The 43rd Annual Dove Awards has come to an end with a roster of new award winners. The Awards were held at the Fox Theatre in Atlanta on April 19th. The Dove Awards Bluegrass Album of the Year went to Grassroots Rambos by Rambo McGuire and Dony McGuire on Rambo McGuire Records. 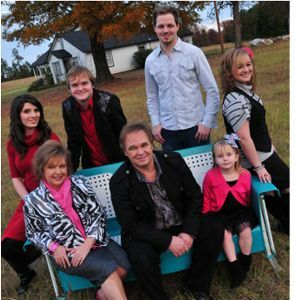 Jeff & Sheri Easter are anticipating their fourth annual Homecoming to bring the best of Southern Gospel music to Lincolnton, Georgia. Among the world-class award-winning talent coming to help raise funds for the Lewis Family Homeplace Restoration Fund are Ivan Parker, the Perrys, the Primitive Quartet and some special appearances.